The Philadelphia Baseball Review released its Division-I College Player of the Week awards on Monday for the period ending April 7. 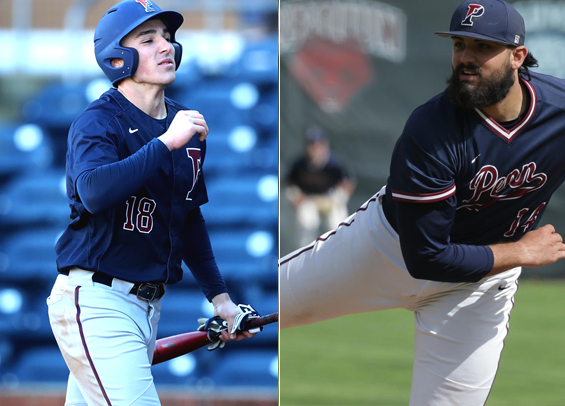 Penn freshman outfielder hitter Craig Larsen was named the Philadelphia Baseball Review's Hitter of the Week, while teammate junior right-hander Christian Scafidi has been named the Philadelphia Baseball Review's Pitcher of the Week. Larsen hit for the cycle on Saturday for the Quakers, becoming the first player in school history in 19 years to accomplish the feat. He hit .366 (11-for-30) for the week with ten runs scored, 12 RBIs, and a pair of homers. For the year, he's hitting .395 with six homers and 40 RBIs. As for Scafidi, the right-hander tossed a career-high eight scoreless innings on Sunday, allowing four hits—all of which were singles—with seven strikeouts and just one walk. He's 3-1 on the year with a 4.21 ERA. The Quakers are now 6-3 in Ivy League play, tied with Columbia and Harvard for first in the conference.